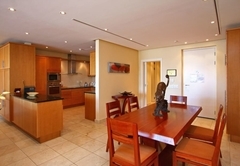 Parergon 203 is a property providing self catering in V&A Waterfront for up to 2 guests visiting the Atlantic Seaboard region. 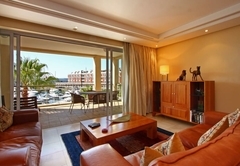 Parergon 203 is a beautiful one bedroom apartment in the Waterfront Marina Residential area. 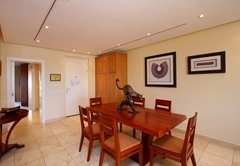 City-centre attractions like Long Street, Kloof Nek, Signal Hill and Table Mountain are all within 10 to 15 minutes’ drive from the Victoria & Alfred Waterfront. 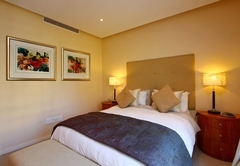 Camps Bay, Clifton and the international airport are about 20 minutes from here and the exquisite wine farms of the Cape Winelands are less than an hour away. 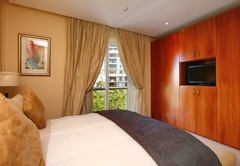 The apartment has plenty of light and is spacious. 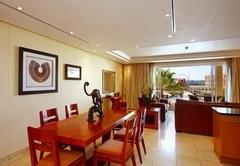 There is a large dining table where you can enjoy home cooked meals with family and friends. 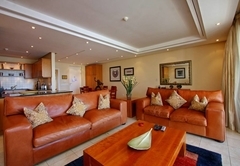 The living area is a great place to relax after a day of sightseeing and has a comfortable couch, a TV, DStv and a DVD player. 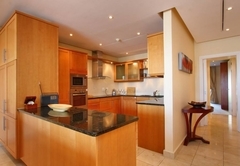 The kitchen is a cooks dream, with plenty of counter space and modern appliances. 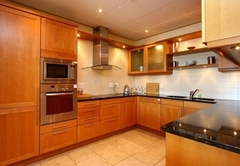 You will find everything you need in this lovely kitchen, making your self catering stay a dream. 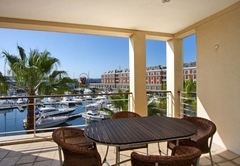 Incredible views of the marina, the working yacht basin with the new Green Point Stadium beyond can be enjoyed from the balcony. 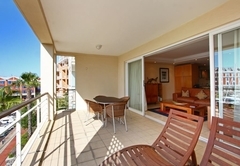 Outside there are two loungers and a table and chairs. 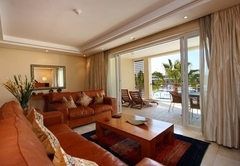 The complex offers a full gym and four swimming pools for your use. 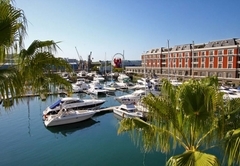 Food, fun and fabulous shopping are what the Victoria & Alfred Waterfront is all about. 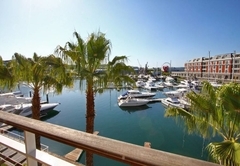 This centre is situated just south of the Cape Town City Bowl, right in the heart of the fully functioning harbour. 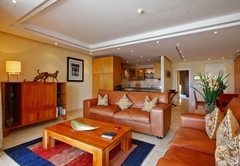 The non-stop buzz of this centre comes from its hundreds of shops, stalls and restaurants. 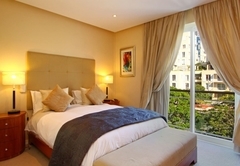 There is no shortage of variety and visitors can look forward to arts and crafts stalls, curio shops, retail fashion outlets, stylish boutiques, fast-food outlets, fine dining, cocktail bars and much more. In addition, there are cinemas, a live theatre and an amphitheatre and much of the live entertainment is free for spectators walking past. Response timeParergon 203 typically responds to requests in 5-10 minutes.